While one suspect has already been arrested in connection to the murder of XXXTentacion, police are now searching for another person of interest involved with the case. The Broward County Sheriff's Office has named 22-year-old Robert Allen, who they believe is connected to the fatal shooting. 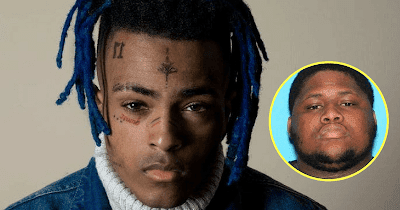 As previously reported, the controversial rapper born Jahseh Onfroy was shot and killed on June 18 in Florida. Following his murder, police arrested 22-year-old Dedrick Devonshay Williams, who was booked for first-degree murder. XXXTentacion was leaving a motorsports store in Deerfield Beach, FL, when he was approached by two armed suspects and fatally shot, police explained. According to Onfroy's lawyer, police believe the shooting was targeted. Today a public memorial, which includes an open-casket viewing, is being held for XXXTentacion at Sunrise, FL's BB&T Center. It took place until 6 p.m.
XXXTentacion was just 20 years old at the time of his death.